At Sheppard Avenue and Don Mills Road in Toronto, Emerald City is a phenomenal hit. In fact, the first two towers in this ideally located condominium community were runaway successes and are well under construction. And now, EL-AD Group has launched Dream Tower, which has already had an overwhelming response. A full 45 per cent of the suites sold during the opening weekend alone! All of this speaks to the pent-up demand for condominiums in this location – and it is easy to understand why. Emerald City is a major community situated across from the fabulous Fairview Mall. Suite owners will have easy access to the Sheppard subway and underground pathway to the mall – talk about convenience! The Don Valley Parkway and Highways 401 and 404 are also easily accessible, which adds to this neighbourhood’s tremendous appeal. And there are numerous schools, libraries, community centres and outdoor recreational opportunities within a few minutes’ drive. EL-Ad Group has certainly caught the imagination and earned a real following amid the local community with careful planning and visionary architecture. Emerald City residents will have green space around them, with tree-lined walkways, beautiful gardens and a new park, community centre and pedestrian plaza. It’s essentially a country setting within an urban context. Amenities that appeal to all ages, even families with children, include a fabulous party room, fitness room, yoga studio, indoor pool, whirlpool, outdoor terrace with barbecue, movie screening room and guest suite. Dream Tower will be a sleek 25-storey residence offering incredible views from large windows and expansive terraces and balconies. Prices for the well-appointed suites begin from just the mid-$200s. 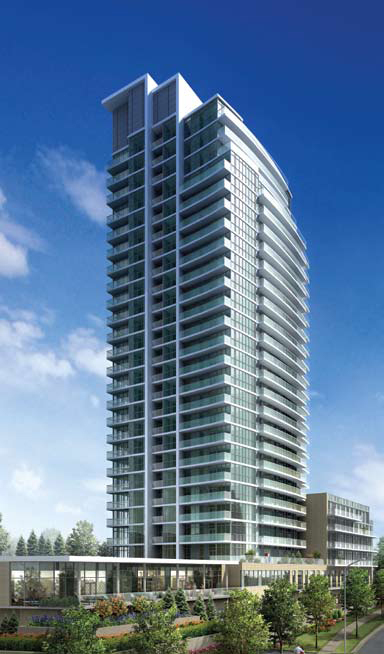 To find out for yourself why Dream Tower is attracting so much attention, call 416-492-0001 or visit www.dreamtower.ca.